The Premier Soccer League has confirmed that they have charged Bloemfontein Celtic following the incidents which took place at the weekend. The Absa Premiership clash between Cape Town City and Bloemfontein Celtic was abandoned on Sunday after the two clubs were concerned about the safety of their players following a pitch invasion by the Siwelele supporters. The league has since confirmed that Celtic has since been charged as a result of their supporters’ behaviour and will appear before a disciplinary committee on April 25. 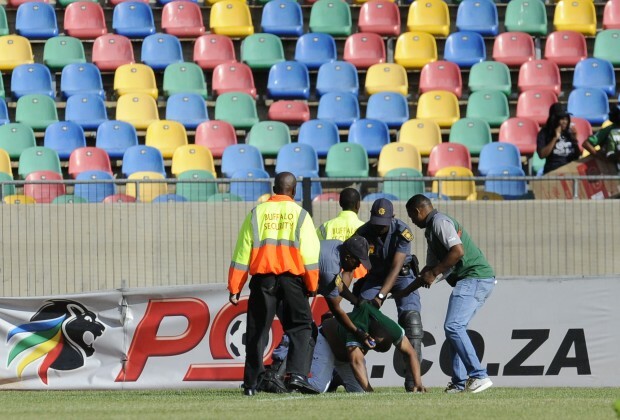 “The Premier Soccer League (PSL) has charged Bloemfontein Celtic following acts of hooliganism which resulted in their fixture against Cape Town City yesterday being abandoned. "Bloemfontein Celtic has been charged with failure to provide adequate security for the match and bringing the League, sponsors Absa, SAFA, CAF and FIFA into disrepute. "They will appear before the PSL Disciplinary Committee on 25 April 2019,” a press release from the PSL revealed. @chiefs is useless Hooligansm and field invasion started when Neeskens and Pitso took Dunusas to lleague position 10, Wits vs Dunusas Final was a cherry on top invasion by Dunusas and when Pirates led by Njenje who took his team Bhakaniya to position 11. What about those who burned moses mabhida,when will they be charged?